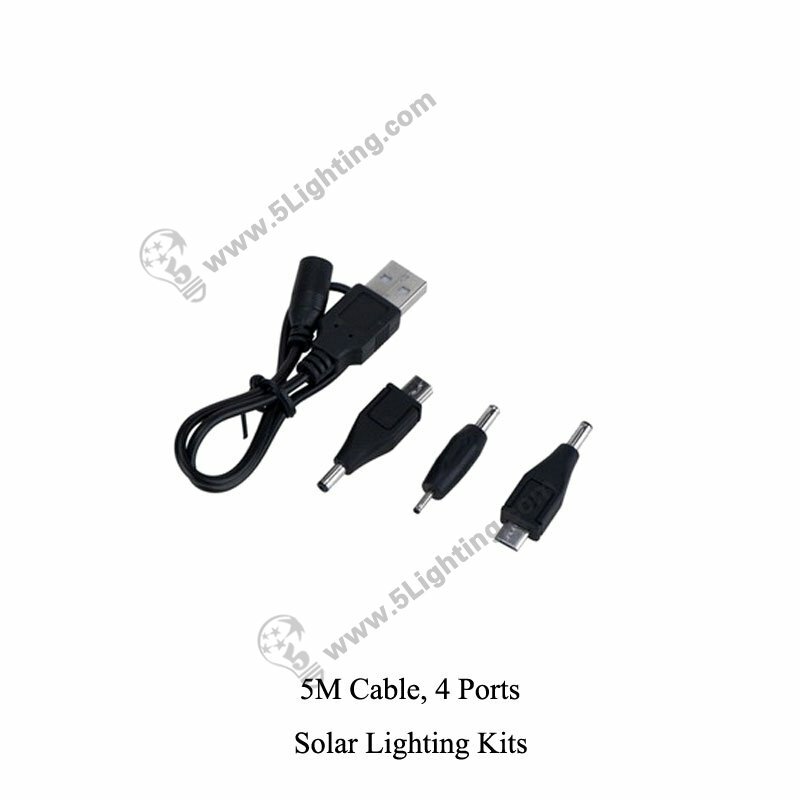 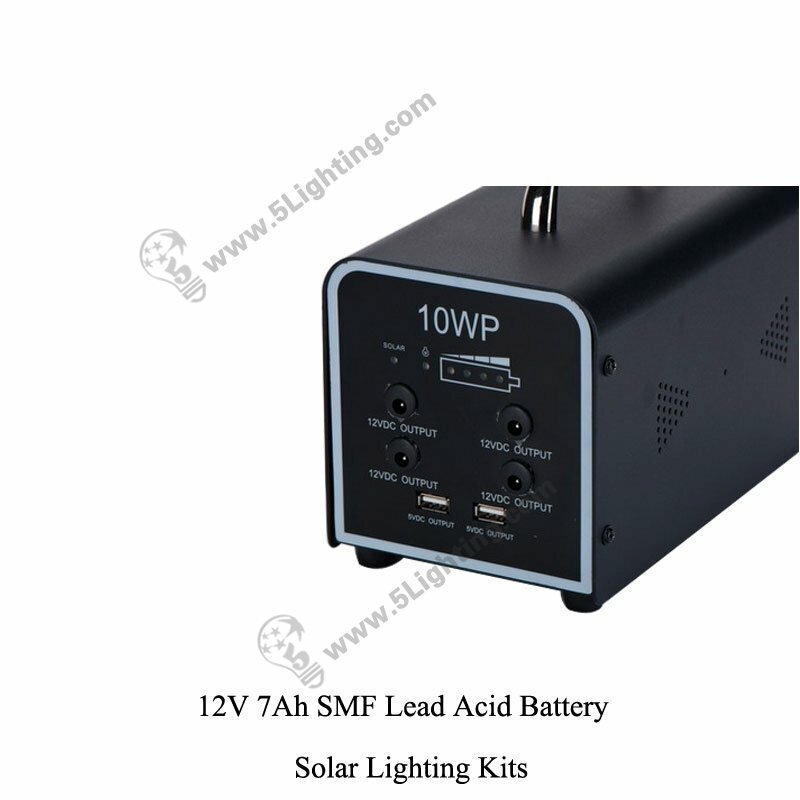 f): That Solar Lighting Kits has 1pc cellphone charger cable, 3pcs cellphone heads, can be treated as a charger to avoid you and your friends’ mobile phone running out of power while comping or other outside activities. 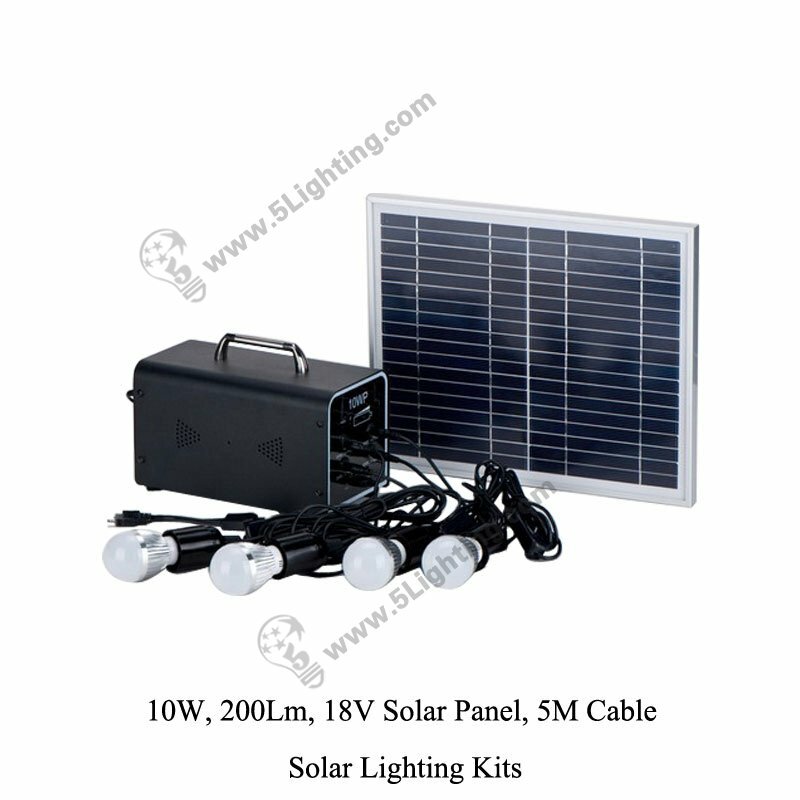 Indoor usage: .Home emergency lighting, Warehouse lighting, Garage lighting etc. 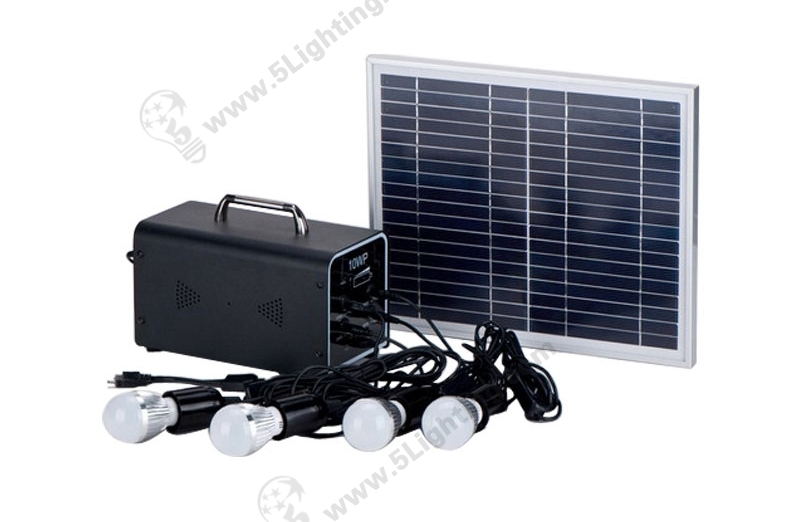 Special usage: Disaster relief situation, For the poors to replace candles or kerosene lamps, Remote area, Mountainous area, Desert area, Grassland areas, Village, Country area etc. 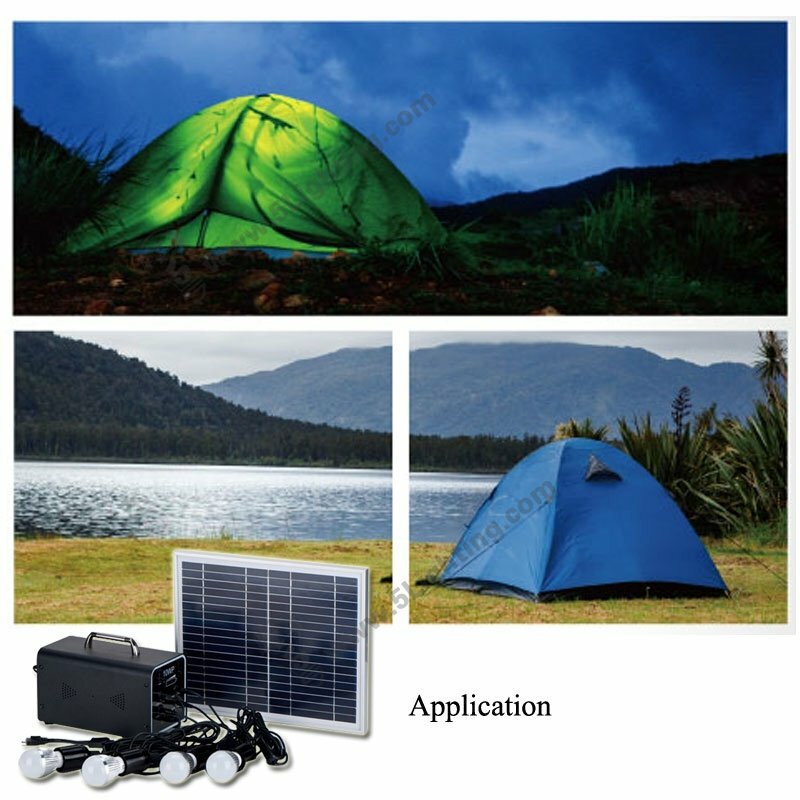 Application: For indoor emergency lighting&outdoor camping events etc.